"There's a potential for the cash burn to be pretty ugly this quarter," said Morningstar analyst David Whiston. The company had to spend to ramp up production of its lower-cost Model 3 small electric car, even constructing a tent in the parking lot to hit its target of 5,000 vehicles per week at the end of the quarter. "You have all the costs but none of the revenue because the revenue will hit in Q3" when the cars are delivered, Whiston said. During the second quarter, Tesla laid off 9 percent of its workforce as it worked toward Musk's promise of making money. The company has never turned an annual profit and has had only two profitable quarters. Tesla also asked parts suppliers for refunds, another sign of financial challenges, according to Langan. In July, Tesla reached 200,000 electric vehicle sales since 2010, the point at which a $7,500 federal tax credit starts to phase out. 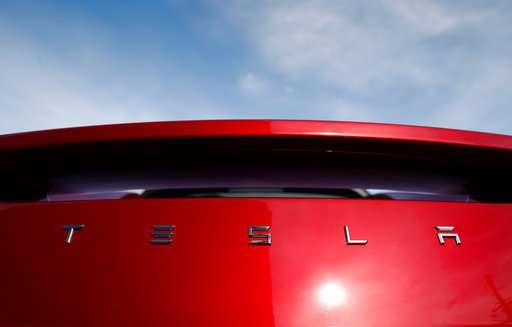 Tesla buyers will get the credit through the end of the year, then it's cut in half and eventually goes away by the end of 2019. That could cause some on the company's Model 3 waiting list of 420,000 to drop out because many are price sensitive and need the credit to buy the car. Langan gives the stock a "Sell" rating and has a 12-month share price target of $195. Shares closed Tuesday at $298.14, up from $252.48 since the start of April. Langan expects an adjusted loss of $3 per share for the quarter, worse than the Wall Street consensus of $2.88.